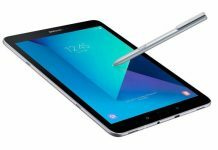 What Is a Samsung Galaxy Tablet? How Does the Samsung Galaxy Tab A Compare to Other Tablets? If you are in the market for a new tablet, then you probably have already heard about Samsung’s Galaxy tablets. Samsung is known for selling quality tablets that are the main competitors to Apple’s iPads. Typically, Samsung’s tablets are more expensive than other Android tablets due to their sleek design, strong performance, and their unique features that add extra convenience and versatility. Plus, you can always expect to pay a little more when buying from a popular, trusted brand like Samsung. However, the Galaxy Tab A is much more affordable than most of Samsung’s other tablets. This review takes a look at this budget tablet and all of its specifications. 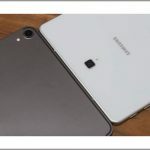 Although there are several older Galaxy Tab A models available through Samsung, we will specifically be reviewing the newest Galaxy Tab A 8.0. Continue reading to find out if this tablet is truly a good value that beats equally low-priced competitors. Samsung is a South Korean company that is known for their top-selling electronics and home appliances. 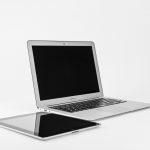 They are especially esteemed for their mobile devices, like their tablets and smartphones, and are the number one vendor of smartphones worldwide. Samsung is a brand that you can trust that even offers one-year warranties in case anything goes wrong with your product. Galaxy Tablet is the title given to all of Samsung’s tablets. Samsung sells a large variety of tablets that differ in price, design, and purpose. There are several Galaxy tablet series including the Galaxy Tab A, the Galaxy Kids Series, and the Galaxy Book Series which includes Samsung’s line of two-in-one tablets that can double as a laptop. All Galaxy tablets can connect to Wi-Fi, but some particular models of Galaxy tabs and other tablets can also be paired with a cellular carrier and run off a data plan. What Is Samsung Galaxy Tab A? The Samsung Galaxy Tab A is Samsung’s entry-level tablet designed for individuals on a budget. The specific Galaxy Tab A 8.0 model we are looking at today is designed to be as light in weight as it is in price. It was designed to look and function similarly to the Galaxy A smartphones. 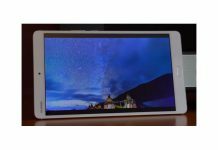 If you are considering buying a Samsung Galaxy Tab A, you’ll want to check out its specifications. The Galaxy Tab A 8.0 weighs less than a pound at 0.79 pounds, is 8.9 millimeters thin and has an eight-inch screen. You can hold this tablet for long periods of time without the tablet feeling heavy or experiencing strain in your arm, and it is easy to grip and store in your bag for when you’re traveling. The tablet has a plastic frame which makes it look and feel cheap. The older version of this tablet had a rubber back, but this new version has a metal back which has a nicer appearance but is harder to hold. It has a noticeable bezel and comes in either black or silver. While most of the buttons and controls on the Tab A are in convenient locations, some customers complain that the capacitive buttons on the front of the tablet are hard to use in the dark since they do not have any sort of backlight to make them visible. With an HD resolution of 1280 x 800, the graphics on this tablet are not great. However, that is a step-up from the previous version of the Galaxy Tab A. Some users complained that this tablet has a distracting blue display that can only be fixed using the blue filter which is actually meant for using your tablet at night in the dark. However, other reviews think the colors and contrast of this tablet are good. This tablet has an IPS panel, and there is a small gap between the touchscreen and panel making it more reflective in bright light. 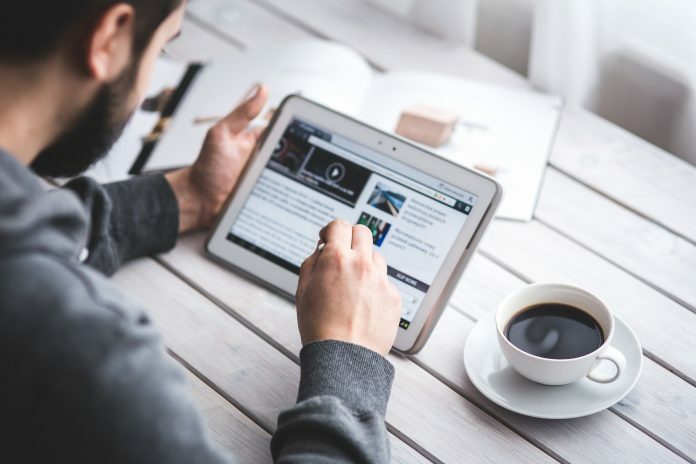 Although the tablet is nice and bright, some customers were very disappointed that the tablet doesn’t have an ambient light sensor to adjust the brightness automatically. One big improvement with this new Galaxy Tab A is that it has a 16:10 widescreen display. This makes it much better to watch movies and videos than previous models that had a lot of black space between the video and the edge of the screen. Samsung boasts that the Galaxy Tab A is built with a Li-ion 5000mAh battery that will last up to 15 hours with constant internet use. It has internal memory of 2GB RAM and can store up to 32GB without purchasing an extra microSD card. You can expand this tablet to 400GB with a microSD card. This tablet has a 1.4GHz Quad-Core processor and runs off of Android 7.1. The device can run basic apps well and performs decently, but you should expect some lagging and stuttering. If you like to play games on your tablet, the Galaxy Tab A will give you some issues. Simple games will run decently, but some more demanding games may stutter so much that they aren’t even worth playing. As far as tablets go, the Galaxy Tab A has a decent camera. It has an 8MP rear camera and a 5MP front camera that have both HDR and flash. Many customers complain about the placement and quality of the Galaxy Tab A’s speakers. Some of the main complaints are that one speaker isn’t enough to offer decent sound, that the placement of the speaker is bad and easily covered while using, and that the overall sound quality of the tablet is mediocre even with high-quality headphones. One of the main perks of the Galaxy Tab A is the software the tablet comes with. This tablet comes with Kids’ Mode which includes apps that children will love and learn from, prevents children from purchasing anything from the store or within apps, and allows parents to control what their child can access and how long they can be on the tablet. This tablet also comes with Bixby which tracks your tablet use and previews content that is relevant to you. You will get a three-month free trial to YouTube Red and a lot of preinstalled apps. This tablet also comes with a super useful split-screen view that allows you to use two apps side-by-side. 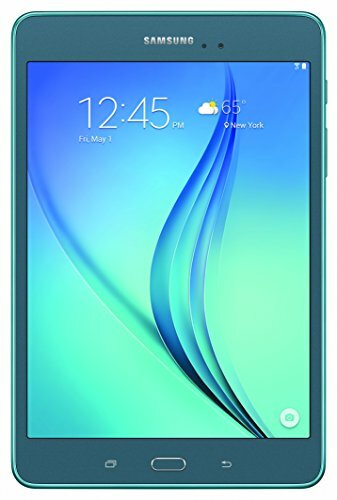 The 2017 Samsung Galaxy Tab 8.0 is $199.99 on Samsung’s website. 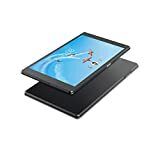 This price will likely go down in the near future, and you can always try to shop around and find this tablet at a cheaper price through another retailer like Amazon. This model of the Galaxy Tab A is not compatible with Samsung’s S Pen or keyboard, so you will not need to consider paying extra money for those. If you want more than 32GB of memory on your tablet, you will need to purchase a microSD card which can be $13 to over $150 depending on how much extra storage you want. The Samsung Galaxy Tab A is not the only budget tablet out there. Here are a few other cheap tablets and their specifications to help you choose which tablet is best for you. This tablet weighs in at 1.11 pounds and is 8.2 millimeters thick. The buttons are easy to access, and the home and return buttons are digital so you can see them in the dark. However, there is no ambient light sensor. The tablet allows multiple accounts for different users. It includes KIDOZ and parental controls for children’s accounts. This tablet can be used with a Bluetooth keyboard and an Alexa speaker for your convenience. There is a split-screen view and preloaded Google Apps. Most people find this tablet’s interface pretty standard and simple to use. This tablet has much better audio with two front-facing Dolby Atmos speakers. 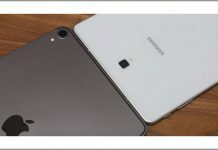 In many ways, the performance is similar to the Galaxy Tab A with the same processor, resolution, and operating system. The battery isn’t as long-lasting as the Tab A but still lasts up to 11 hours. The cameras are also worse with a 5MP rear-facing camera and a 2MP front-facing camera. The Lenovo Tab 4 comes with half the storage that the Tab A has but can be expanded. Lenovo offers a one-year warranty for their tablets. Android 5.0 Lollipop,Dual band wireless 802.11 ac; USB type C connector. Please refer the User Manual before use. This tablet is very lightweight at 0.69 pounds and 6.9 millimeters thin. It comes with a UI that is very easy to use and allows you to customize your tablet with ease. This tablet has an interesting feature that allows you to access apps by using ZenMotion. ZenMotion allows you to use different motions as shortcuts to your app. For example, you can swipe in a C motion to access your camera. This tablet also allows multiple users including a Kid’s Mode with parental controls and kid-friendly apps. The Asus ZenPad outperforms most other Android tablets in many aspects. Users report that this tablet does not have great quality sound especially when it comes to the bass. Also, the 5MP rear camera is just mediocre. However, this tablet is powerful and runs smoothly. Its graphics are amazing with a 2K IPS display. With VisualMaster Suite, you can customize how your tablet looks so that your viewing experience can be optimized. This tablet comes with 32GB of internal data which can be expanded up to 128GB. It also comes with two years of 100GB Google Drive Storage. Customers and most reviews rave about how this tablet is the ultimate budget tablet that is on a completely different level than the other tablets in this guide. ASUS provides a one-year warranty for its tablets. If you are looking for a tablet under $200, the Galaxy Tab A 8.0 is a decent tablet that will meet all your basic needs. The included apps are a great touch, and you will be able to use most apps without a problem. If you plan on taking pictures with your tablet, this tablet is a great choice. However, the Asus ZenPad S 8.0 is only $25 more and is a much better tablet if you are willing to spend a little bit extra money. At around $230, the Asus ZenPad is an incredible bargain.